Thank you Sam C. Your honesty and integrity and one of a kind. Best cars and best prices. Sam C. Is not pushy nor does he forces you to buy what you don’t want. Best costumer service ever! 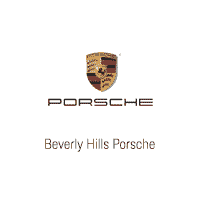 Easiest purchase ever, my salesman Gary was the most responsive of all L.A. Porsche dealers. By email and in one phone call found me the car i needed in a couple hours and met my financial expectations and had the car delivered to my house, can't ask for more. Thanks Gary.